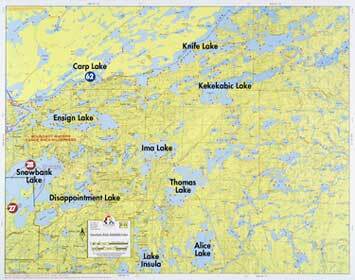 Size 22″ x 34″, Scale 1-1/ 4″ = 1 mile, Waterproof. 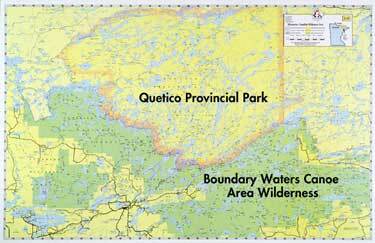 Similar in nature to the Superior-Quetico maps, in large scale, with greater emphasis on detail such as incorporation of some reef markers, water levels, campsites, B.W.C.A. 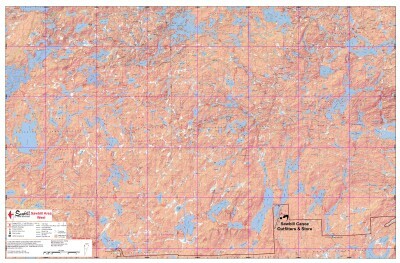 boundaries, motor routes, etc. 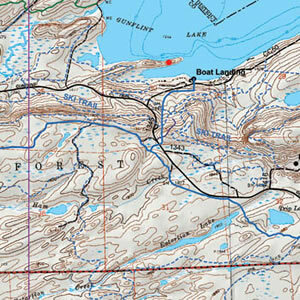 Even though these maps are updated and well-marked, they are not intended for navigational use.